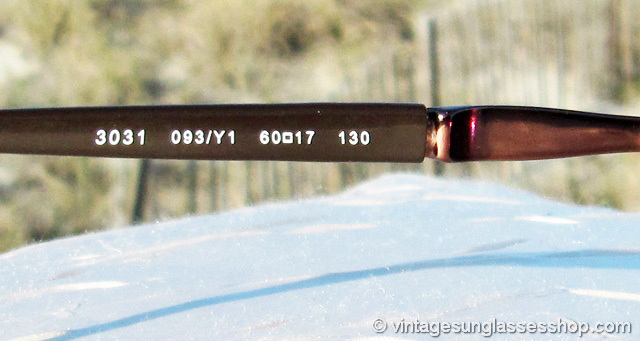 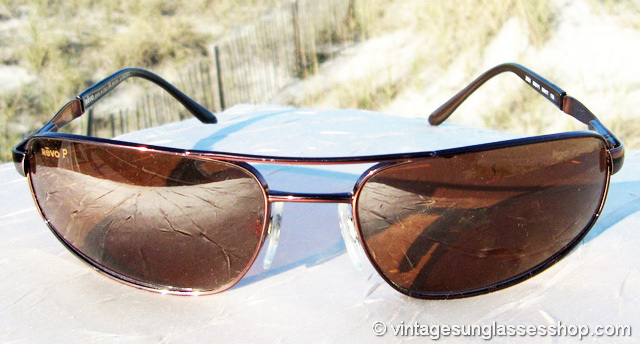 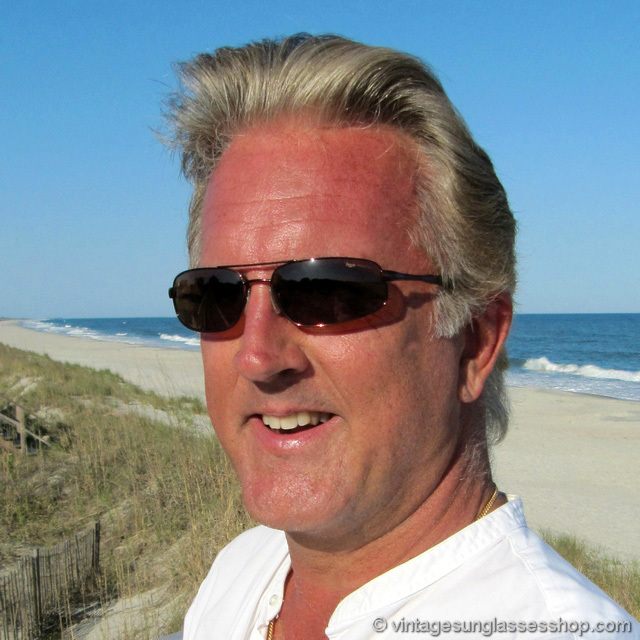 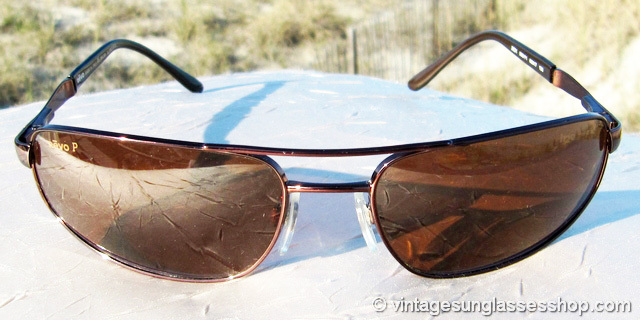 A sleek copper wrap design from the 1990s, vintage Revo 3031 093 sunglasses also feature the amazing Revo H20 Photo lens which is known to provide perhaps the sharpest and finest visual acuity of any sunglass lens in the world. 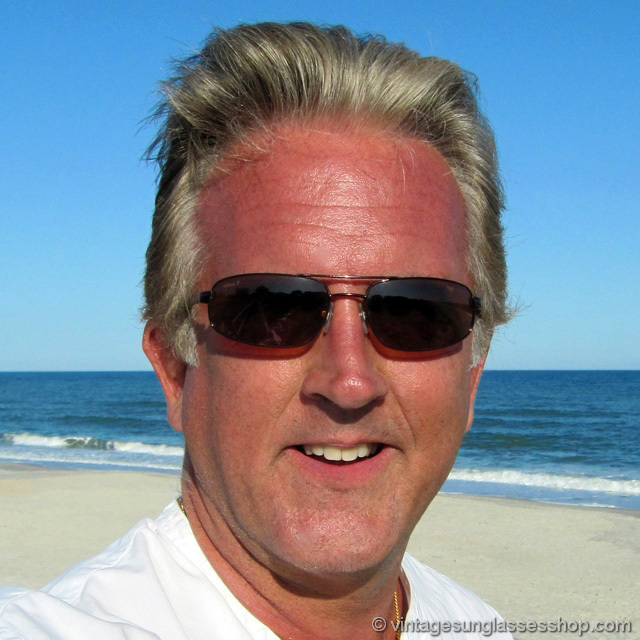 The subtle wrap design of Revo 3031 sunglasses provides additional protection for your eyes on the sides while conforming closely to facial contours. 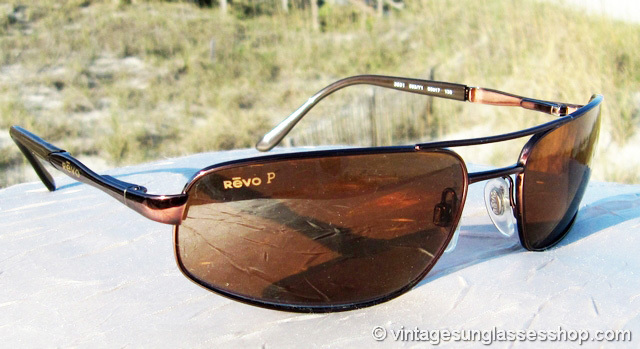 The unisex Italian copper frame measures approximately 5.25" temple to temple and is paired with Revo P H20 Photo photochromatic and polarized lenses, utilizing Revo's Photoch technology to create superb visual acuity in all light conditions. 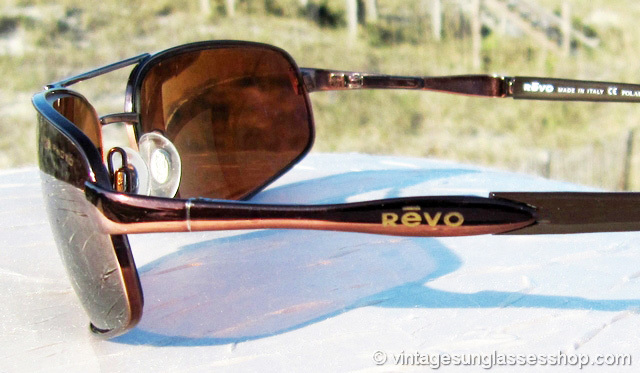 The Revo logo is embossed on each ear stem near the spring loaded hinge points, and the stems incorporate the bullet transitions which change the stem from copper to matte brown continuing down to the ear pads. 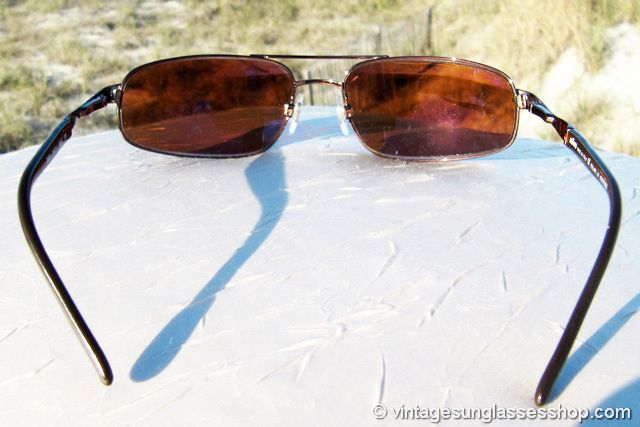 The lenses measure approximately 2.25" x 1.25" and incorporate a gentle curve, and the right lens is marked Revo P while the left lens is marked H20 Photo. 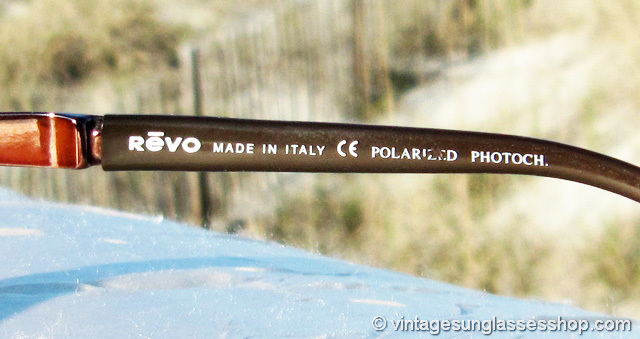 The inside of one ear stem is marked Revo Made in Italy CE Polarized Photoch while the inside of the other stem is marked 3031 093/Y1 60  17 130.